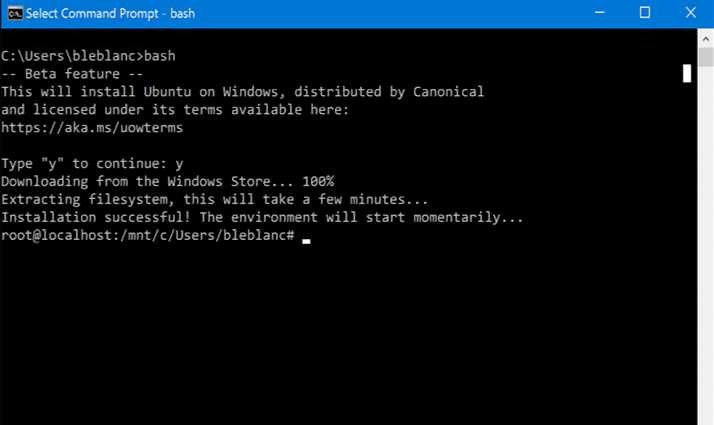 Windows 10 Anniversary Update users can now install and run Bash on Ubuntu on Windows. 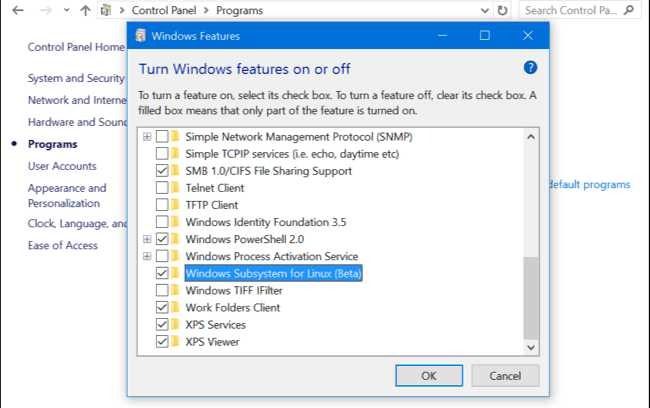 Microsoft’s new “Windows Subsystem for Linux” in Windows 10 enables this new feature. Of course, there are some limitations like it won’t work with server software and graphical software. Bash on Windows is best for developers who want to run Linux command-line utilities on Windows machines. To install Bash on Windows 10, you will need Anniversary Update. Finally, you will need to create a new user account and password for the Bash environment. However, you can also run the following command. This will agree to all prompts and set the default user to “root” with no password. You’ll now have a full Bash shell based on Ubuntu. Also, you can use Ubuntu’s apt-get command to install software. You’ll have access to all the Linux command line software out there. Click Start and click “Bash on Ubuntu on Windows” application. If you have used Bash shell before on Linux or other platforms, you’ll be right at home. You’re given a root shell, so now you don’t need to use sudo. Your Windows file system is located at /mnt/c. If you want to uninstall and reinstall the Ubuntu environment, you need to use lxrun command. The lxrun command allows you to remove installed Linux system files. Also, lxrun command can also be used to install the Linux environment.